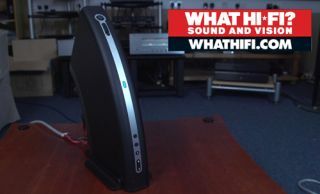 VIDEO: Monitor Audio A100 AirStream amplifier unboxing | What Hi-Fi? Monitor Audio unveiled its first ever amplifier at CES at the start of the year, the Airstream A100, on sale for £400. The AirStream A100 aims to marry the company's traditional audio expertise with an innovative design and a host of wireless connectivity options. There are stereo RCA analogue inputs (and outputs), a digital optical audio input, a sub out and a front-mounted USB, plus support for Apple AirPlay and DLNA for streaming wireless audio. There's also WiFi Direct streaming, or Airstream Direct as MA calls it, meaning you can stream music from an iOS device without a WiFi network and router. Take a look at the A100 in our unboxing video and look out for the full review coming soon.